Do you own a lawn/backyard and intend to make it cool enough that it allows you to listen to music outdoors? Are you a professional outdoor designer or landscaper who installs outdoor music speakers? If the answer is yes to both, then this is the right place to be. While there are numerous brands and manufacturers for outdoor music systems in the marketplace, its difficult to make a choice. You walk into a store or browse online; there’s only a selected few that you’ll get your hands on. There are multiple brands and products which can be permanently installed outdoors, are portable, and others which are weatherproof or waterproof. How can you get all 3? Choosing the best outdoor music system is what lets you accomplish the trifecta. If you have problems deciding things for yourself, don’t forget to ask an expert for advice. We understand your problems when it comes to choosing the right one especially when you’re investing hard-earned money. 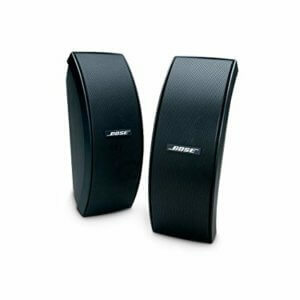 Here is a compilation of outdoor wireless and mountable speakers to make choosing easier. If you are one of those who don’t find the need for a permanent installation of a music system outdoors, yet intends to listen to music once in a while, especially during pool parties, then the Ultimate Ears Boom is a great choice for you. While this is a portable speaker, some might underestimate its sound quality due to low wattage. But when you get a demo of it, you’ll know how powerful the ambiance gets due to the sound it emits. The waterproof capabilities allow you to keep it close to you whenever there is a pool party around. It is also known to have a speakerphone, a USB charging point, 20 hours battery run, 100 feet Bluetooth wireless range, and overall is a great package for your outdoor parties. It is easy to carry and shouldn’t be judged by the size of it. 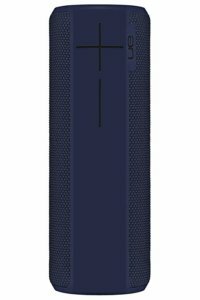 If you are looking for an outdoor speaker that has Bluetooth compatibility, an overall powerful sound system which helps you charge your smartphones when you need it, this is what you should own. Whether you are out trekking on an adventure or chilling with your friends by the pool, grab this one for yourself. It has this warm sound that makes you feel like you’re in the studio, thus making it seem like you get to hear all the small details of a song. This is cheap compared to the rest, and it also simultaneously gives you the best sound quality. It is made of hard plastic that adds to the list of its durability features making it a stable of your outdoor background for years to come. It is waterproof and has the ability to stay submerged in water for as long as 30 minutes. With a battery life of up to 20 hours, you don’t have to worry about charging it repeatedly. 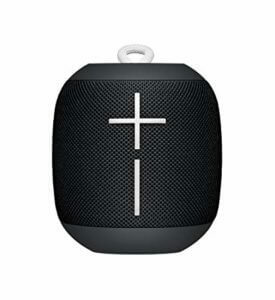 If you find difficulty in getting one of these, look out for JBL Charge 2+ or JBL Charge 2. Do you intend to have a party that has people chilling outdoors as well as indoors? Are you looking for a sound system that helps with music both indoors and outdoors? Then this is the one to help you out. 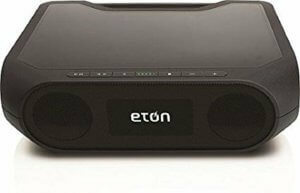 If you are looking for a portable device that has a multi-room sound system while providing the same sound quality both indoors and outdoors, then this is an option worth researching more on. With a battery life of around 9 hours, it is enough to last for a night’s party. It holds dual woofers which provide bursting sound when played. If you need a permanent solution when it comes to playing music outdoors on the deck, poolside or patio, this is what you should own. Considered one of the best mountable speakers, you can place them at convenient locations while allowing you to enjoy great music outdoors. With a 6.5 inch woofer and 1/2 inch tweeter, it is a pleasure listening to music because of its internal components. While these are waterproof, covering them during the winters is a good idea especially when it comes to protecting the interiors. Now, if you’re someone who likes music wherever you go, buy this one for yourself. With a round shape and the ability to float, it serves as a great companion when you are out swimming in the pool or lake. Apart from floating. It can be fully submerged in 3 feet of water for as long as 30 minutes. It is also shock resistant which means it can withstand falls while escaping without a scratch. The sound of it goes up to 86 decibels making it sound great even amongst chaos and chatter at the party. If you are an adventure enthusiast and like to get away from the chaos of the busy city for a few days, this system helps. This is a music system that stays alive and kicking for days on end. With a solar charging system, you’ll be able to charge the system all day keeping it kicking at night for as long as 8 hours. Even if you witness rainfall or splashes of water on your hiking journey, it can withstand it all without curbing your need to enjoy great music, even when outdoors away from home. It is known to help you charge your smartphone and other USB supported devices. You wouldn’t ever need to worry about bringing chargers. Ask any landscaping expert about this, and they’ll recommend you make it a part of your lawn or backyard. This is a music system that camouflages and blends with your garden perfectly, and it has one of the best outdoor speaker setups around. Shaped like a rock with a similar color, it is something that makes you listen to music outdoors and you won’t even notice it’s there because of its design. Compare this to mounted outdoor speaker systems and you’ve got an obvious advantage with the design of this speaker system. It’s available in granite and sandstone colors, choose whichever color setup you want to maximize your backyard or patio décor. It’s resistant to UV rays as well as changing weather conditions. The only downside to this outdoor music system is you’ll need professional help installing it if you don’t have experience setting up speakers yourself. 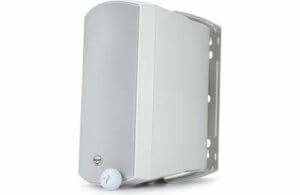 This is another mountable outdoor speaker that is known to be these discreet. They come in glass-filled cabinets that keep it protected from the changing weather conditions. No matter what the wall surface is, the brackets stay in place while being resistant to all weather conditions like rain or snowfall. While it has the feature of blending well with walls, it won’t be out of place wherever you put it. The sound coming from these speakers are known to be crisp and perfect while having a concert like experience whenever you play music. If you’re looking to purchase a large outdoor speaker system but don’t know what to purchase then this is the one. Its experience of providing a concert-like experience justifies its size and price. This is another one of those that blend perfectly with your garden setup. If you perform landscaping tasks for your outdoor space, this will be the right purchase for you. 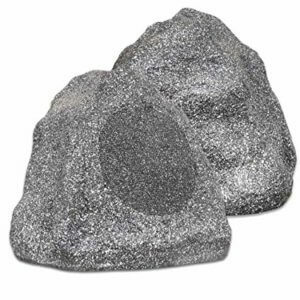 Shaped and colored like a rock, it sits gently at a corner, or any other place of attraction while playing music discreetly. Being able to attract while being discreet is a paradox only a few speakers achieve. It’s what makes the design of this speaker popular. These outdoor wired Bluetooth speakers are weatherproof as well as rust resistant. Not having to worry about it getting damaged while being outdoors all the time is customer satisfaction. Its design comes with a plastic encasement and silicone sealant, it is something that would be your garden’s companion for years at a time. 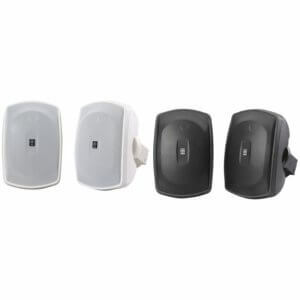 It is made to give that booming sound for the outdoor environment which is difficult because there are a lot of external factors which make that difficult. These speakers are angled at a 20-degree level which lifts the sound for it to reach far, thus giving a great musical experience especially when you conduct outdoor parties and get-togethers. How do you choose the right outdoor music speaker system? Since you would be using it outdoors, it is necessary that you ensure that’ll be durable and resistant to all weather conditions. Whether its rain or snow, it should withstand it all and help you with all your music. Look out for the brand guarantee when it comes to making a purchase. Most manufacturers offer a warranty which allows repair or replacement of a product. When it comes to outdoor music systems, there needs to be a designated place especially if it’s a permanent installation. 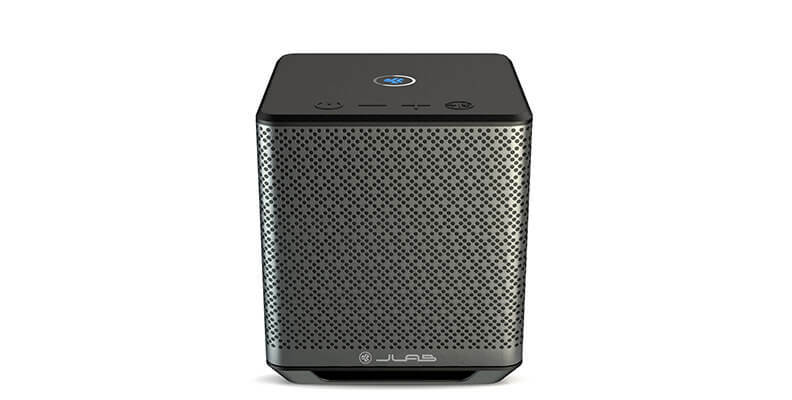 Even when it comes to the best loudest portable Bluetooth speakers, you need to know the type of environment it will be in; it needs to be audible in a good way. Only when things are analyzed, and you love its placement should you go ahead and make a purchase. If you want speakers that play soft music like light rock then you don’t need woofers. 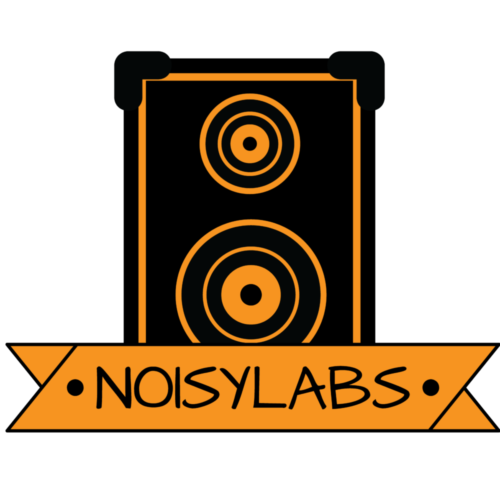 If you like loud rock music, speakers with woofers are perfect for you. Setting expectations allows you to get the best out of your speakers and gives you peace of mind to have a great time while music plays in the background. Anything unpleasant to the ears at the party will turn guests off and make the enjoyable experience of partying sour. Picking any random outdoor music system would do no good especially because of their price. Until you know of the brand and read its reviews, you shouldn’t make a decision. When you check their reputation you need to make sure you’re thorough. Remember, you’re paying money for something that needs to be an asset. An asset needs to be something that helps you in the long-run. So it shouldn’t be anything that is low quality. Research their reputation, years in the industry, customer reviews, and what materials they use to produce the speakers. Only then, with thorough research backed up by factual evidence should you make a heavy investment.